CEP7-ED1- Class 10 with manual reset which is available up to 45 amperes. This covers the most common horsepower motors and can be used for everyday applications. CEP7-EE- Class (10, 15, 20 & 30), 3-phase application overload relay with automatic/manual reset. CEP7S-EE- Is a 1-phase application overload relay with features from a 3-phase CEP7-EE model. Selectable manual or automatic reset modes. 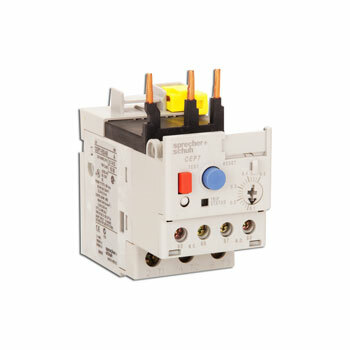 Direct close-couple connect for CA7 contactors.